Women's Tek Gear Puffer Jacket Only $27.99! Down From $100! You are here: Home / Great Deals / Christmas Deals / Women’s Tek Gear Puffer Jacket Only $27.99! Down From $100! 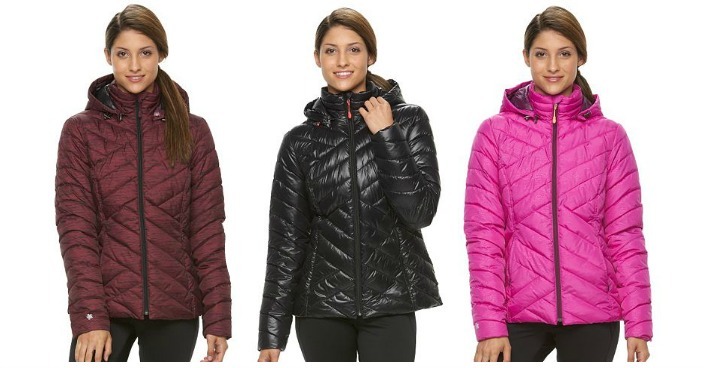 Women’s Tek Gear Puffer Jacket Only $27.99! Down From $100! Kohl’s has this Women’s Tek Gear Puffer Jacket on sale for $34.99 (Reg. $100) but you can get it for only $27.99! Be sure to choose to pick up your order in-store to save on any shipping costs or you’ll get FREE shipping with any $25 order .